Situated in the west central area of Toronto, St. Matthew’s Bracondale House is designed to provide community living for seniors and families. Seniors live independently in a seven-storey apartment building on the south side of St. Clair Avenue, just west of Christie Street. 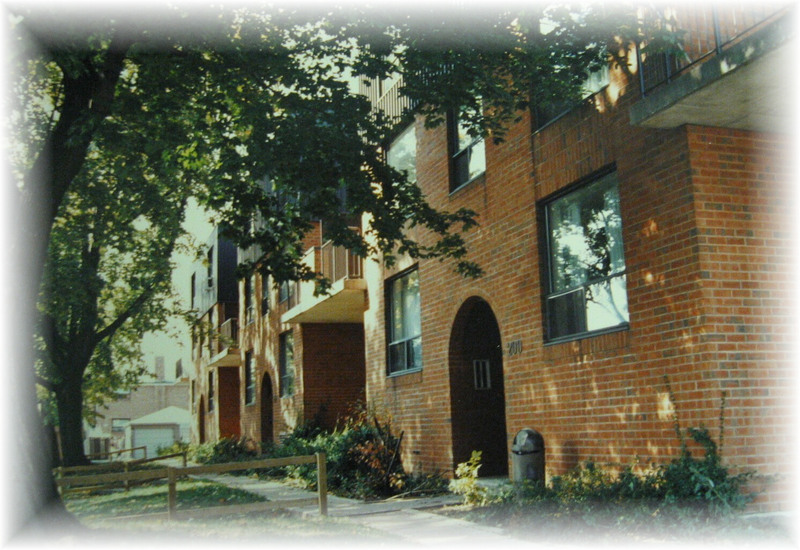 Across a landscaped courtyard to the south, a small, separate three-storey building facing Ellsworth Avenue provides accommodation for families with children. With a TTC streetcar stop across the street, our location provides easy access to public transportation. In the surrounding neighbourhood there are many shops, grocery stores, banks, churches and libraries. Pharmacy: Christie pharmacy is next door, Shoppers Drug Mart is a 15 minute walk. Schools: Oakwood Collegiate, McMurrich Junior P.S., Winona Drive Senior P.S., Hillcrest Community School, Holy Rosary Catholic School, St. Alphonsus Catholic School. Banks: TD/Canada Trust, CIBC, Royal Bank and BNS are 15-20 minutes away on foot.